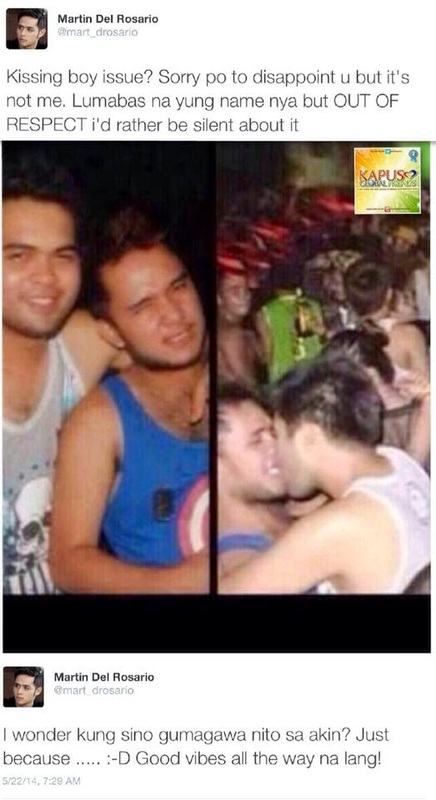 An alleged photo of Martin Del Rosario kissing a guy (man) is spreading online, the name of the said guy was not revealed. So now the photo has been tagged as Martin Del Rosario’s Kissing Guy, Boy Scandal. But according to Martin Del Rosario via his Twitter he posted there about the issue.
" Kissing boy issue? Sorry po to dissapoitnt u but it’s not me. Lumabas na yung name nya OUT OF RESPRT i’d rather be silent about it".